As with previous years, Apple today updated its official WWDC app for the upcoming developer conference, which will kick off in San Francisco on June 2. 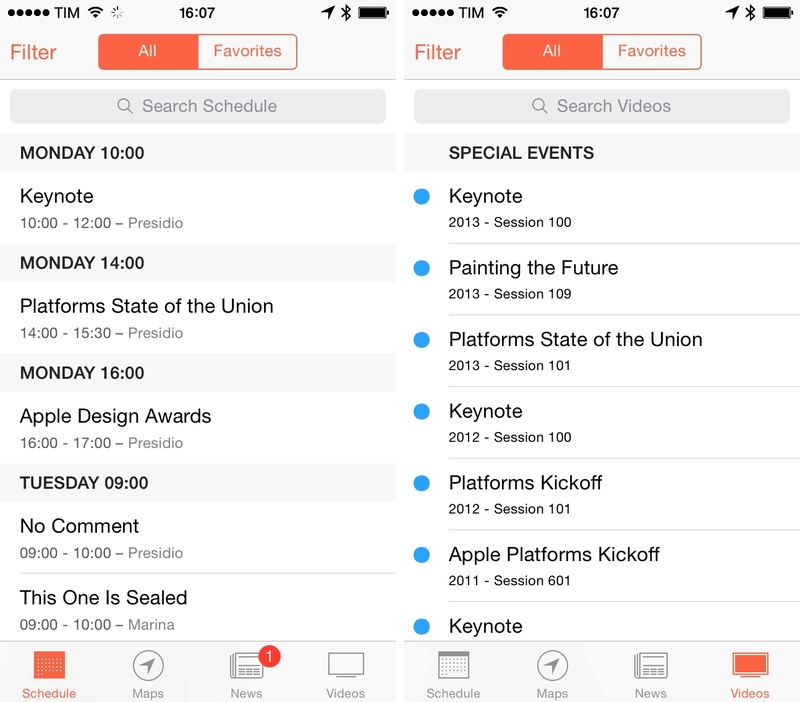 The WWDC 2014 app is available for free on the App Store, and it can be used by attendees to browse times, locations, and descriptions for sessions, labs, and special events, but, for developers who weren't selected for a ticket by Apple's lottery system, the app will also provide a handy way to view session videos (which will be uploaded throughout the week) and sync video playback across devices using iCloud. The app, redesigned since last year's version, will include Passbook support to speed up on-site registration for attendees, combining inline maps with favorites to find a specific location inside Moscone West and mark a session or lab as important so it won't be missed. You can download Apple's WWDC 2014 app here. WWDC 2014 kicks off on Monday, June 2.